There is no shortage of pressing tasks, jobs and responsibilities that procurement professionals must deal with on a day-to-day basis. Unfortunately, it seems that one of the biggest threats to the success of their operations is flying under the radar for the majority of leaders in this department. According to a recently published report by A.T. Kearney and Rapid Ratings International, risk management is not a critical focus area for procurement professionals, although most understand that the threats are present, Supply Chain Quarterly reported. So why, if they know the risks are there, aren't they doing anything to address them? 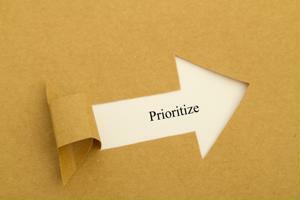 Many attribute their inaction to a lack of time or resources. This, and the fact that their performance isn't evaluated on their risk mitigation abilities. Although the source noted that the procurement leaders agreed that they plan to prioritize risk management within the next few years, this suggestion of dealing with it later raises several concerns. The first is that these executives may be underestimating just how severe supply chain disruptions can be, as well as the impact incidents can have on procurement. Another is that, as A.K. Kearney put it, "getting by with a strategy of 'hoping our luck holds out' leaves procurement vulnerable in today's tenuous geopolitical and economic environment, where many public and private companies are in precarious financial positions." Put simply, there are really no justifiable excuses supply chain teams can use as to why they have not made establishing a risk mitigation and recovery response plan a priority, and this includes procurement leaders. Whether it is a natural disaster, security breach or other type of unexpected supply chain disruption threatening business continuity, failing to have the proper strategies for not only preventing but dealing with such interruptions can lead to significant delays and financial loss - damages that will likely be much harsher than they otherwise would be with a solid plan of action in place. How should procurement go about risk mitigation? The first step is to understand what the biggest risks are, especially for procurement in particular. In a recent article posted by PYMTS.com, it was pointed out that procurement teams could benefit from adopting a more thorough approach to cybersecurity. Using the financial industry as an example, FICO Vice President of Cybersecurity Solutions Doug Clare explained to the source that suppliers are becoming increasingly pressured to ensure the security of the vendors they work with - and doing this is especially important when partnering with a new party. Clare suggested that a metric be used to establish the security not just of the infrastructure of the supplier but of the end-to-end supply chain as well. With banks, the source said, procurement is often the first "the first point of attack to assess vendor risk" and, as such, they should have digital tools and technologies that help with risk assessment. "Usually, within the banks, it's the procurement function that's accountable for managing vendor risk," Clare told PYMTS.com. "They're the front line in terms of knowing who the vendors are, contractual relationships, driving accountability with those vendors." Before even choosing a new supplier, A.T. Kearney recommended that procurement conduct spend segmentation by category management, since the beginning stages of strategic sourcing operations present an opportune time for market analysis and supplier risk evaluation, taking into consideration the vendor's history and identifying any possible red flags for risks. This technique can be used throughout the entire supply chain, the source suggests, including to second and third tiers of the network. The key to procurement professionals being able to gain the insight and information needed to effectively evaluate supplier performance and use it as a risk mitigation tool, though, lies in data. By leveraging the eProcurement tools, software and technology available from third-party solutions providers, procurement teams can significantly enhance their ability to ensure supply chain continuity after a disruption, as well as improve their overall risk mitigation strategies.